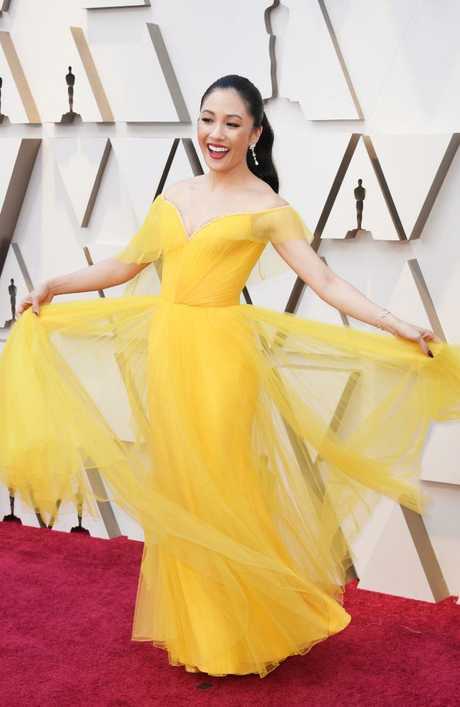 Hollywood's brightest stars are making their way to the Dolby Theater in LA, where the 2019 Oscars will soon get underway. A Star Is Born, Black Panther, BlacKkKlansman, Bohemian Rhapsody, The Favourite, Green Book, Roma and Vice are among the favourites to take home statues at today's ceremony - but before that happens, all eyes are on the red carpet. 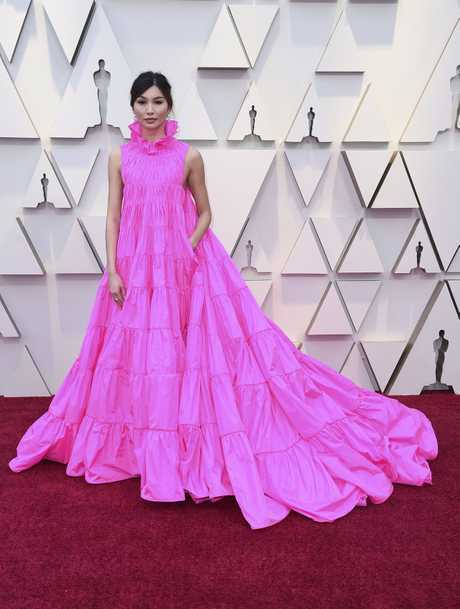 One of the first jaw-dropping appearances this year was from Green Book actress Linda Cardellini, who's dress was an uncomfortable blend of two of the riskiest style trends available: the "mullet" hemline and hot pink tulle ruffles. Oh, and she threw in a "2000 Grammys J-Lo"-inspired neckline for good measure, giving the overwhelming overall effect of someone who is literally being drowned in their own bad fashion choice. 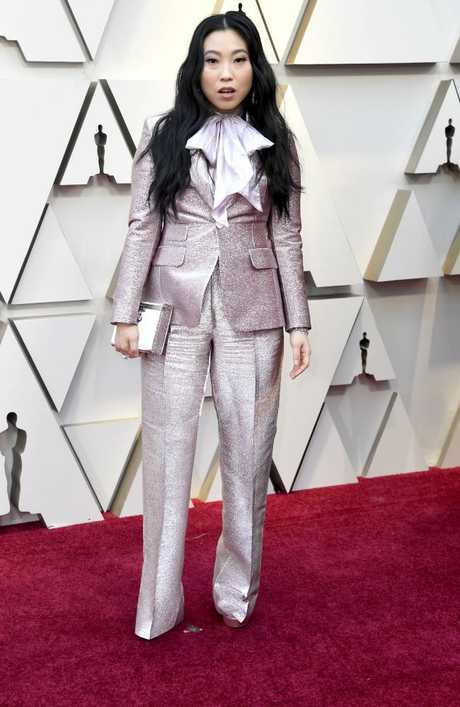 I've stared at this dress for minutes on end and still can't work out the point of it - but it appears that the A Star Is Born actress decided to enhance her waist with some unbelievably angular inserts, proving that it is not, in fact, hip to be square. 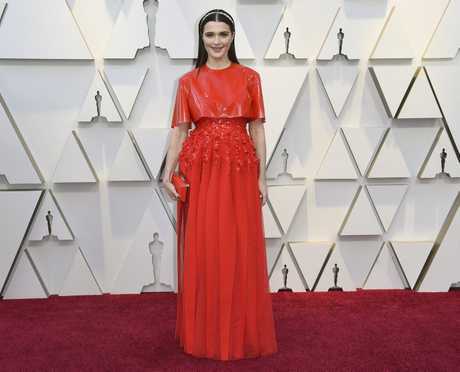 Meanwhile, even Best Supporting Actress nominee Rachel Weisz (The Favourite) didn't look sure about her decision to don a bizarre cropped red rain coat. At the other end of the scale, Best Supporting Actress nominee Marina de Tavira - who scored a nod for her role in Roma - is already number one in our eyes for this breathtaking red carpet offering. 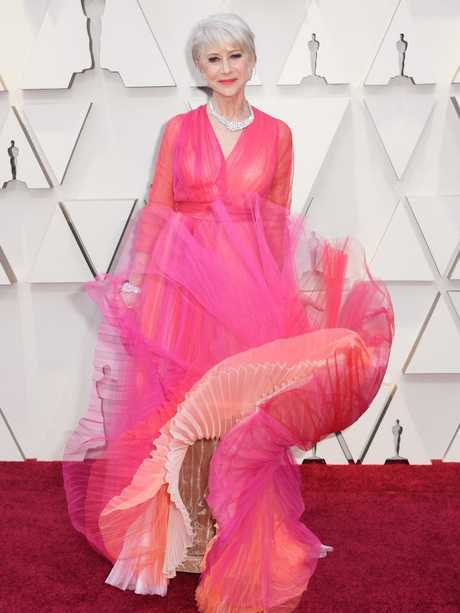 (Ms. Cardellini, please take note: this is how you do tulle ruffles). 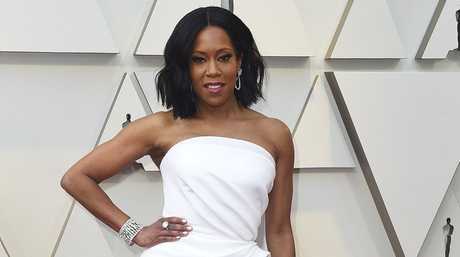 Also nominated for Best Supporting Actress is If Beale Street Could Talk actress Regina King, who looked heavenly in a classic white gown - with a bit of an Angelina Jolie leg pop. But pink is clearly the major trend of this year's awards show. One of this year's presenters, Helen Mirren, really leaned in to it. 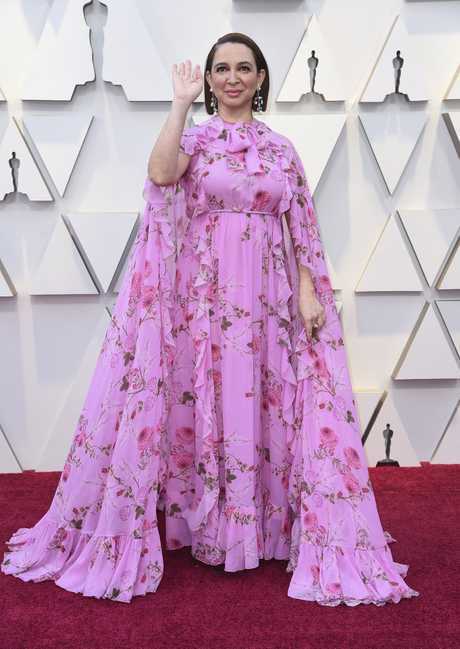 … This Maya Rudolph get-up,on the other hand, makes me feel vaguely queasy. I was politely asked to drop General Maths in Year 12 but am still fairly confident I've got the numbers right when I say ruffles + high neckline + cape + pink + florals = TOO MUCH. 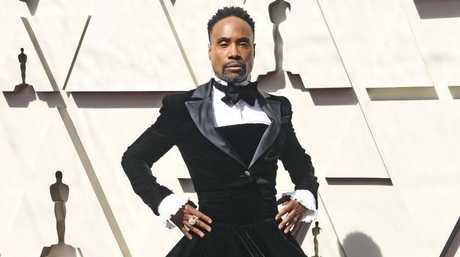 Pose star and Tony Award winner Billy Porter was one of the first to arrive, and served up a fierce fashion offering in a black velvet tuxedo gown. Emilia Clarke - Daenarys Targaryen from Game of Thrones - was the picture of timeless elegance in a form-fitting purple metallic strapless dress. 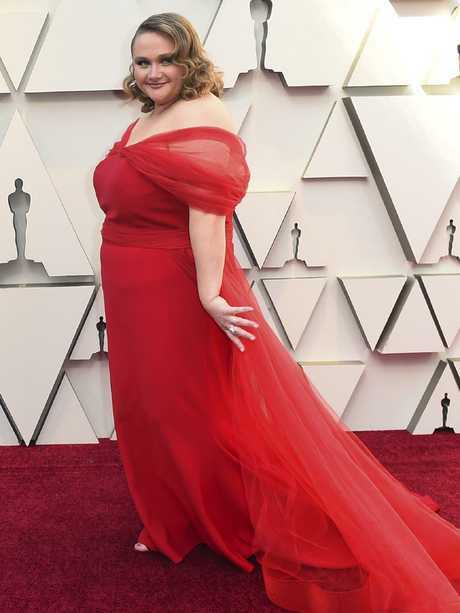 Australian actress Danielle McDonald, who stars alongside Jennifer Aniston in Netflix's Dumplin', opted for bright red tulle. Among the earliest arrivals was a string of slightly lesser-known residents of Tinseltown, who went all out to secure their moment in the spotlight with some experimental fashion. 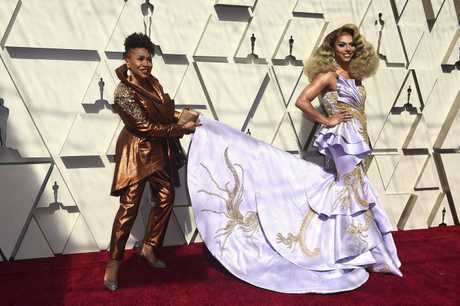 RuPaul's Drag Race star Shangela - who also appeared in A Star Is Born - brought the old-school glam with a dress that seemed to draw inspiration from lead actor Lady Gaga's Golden Globes look. The Oscars ceremony is due to start at midday, AEDT. In the meantime, check out our gallery for more red carpet looks.